Own Mission Impossible - The Complete Series DVD from Deff, DVD, Blu-Ray & 4K Video Specialists - Free UK Delivery..
A "mission" almost two decades in the making. Tom Cruise is IMF Agent Ethan Hunt, one of the greatest action heroes of all time, in the adrenaline-pumping, suspense-filled blockbuster franchise Mission: Impossible. Filmed in the most exotic locations around the world by the biggest directors in Hollywood, this must-have 5-film set will thrill any action fan. 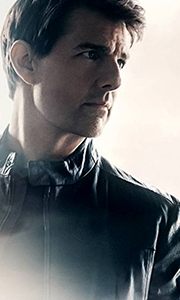 Your mission, should you choose to accept it - experience the most action-packe..
Mission: Impossible: Tom Cruise ignites the screen in this runaway smash hit that "holds you on the edge of your seat before blasting you out of it." (Howard Rosenberg, Los Angeles Times). Cruise stars as Ethan Hunt, a secret agent framed for the deaths of his espionage team. Fleeing from government assassins, breaking into the CIA's most impenetrable vault, clinging to the roof of a speeding bullet train, Hunt races like a burning fuse.. The world's greatest spy returns in the movie event of the year, M:I-2. Top action director John Woo brings his own brand of excitement to the mission that finds Ethan Hunt (Tom Cruise) partnering up with the beautiful Nyah Hall (Thandie Newton) to stop renegade agent Sean Ambrose (Dougray Scott) from releasing a new kind of terror on an unsuspecting world. But before the mission is complete, they'll traverse the globe and have to choos.. The stakes have never been higher. The action has never been hotter. This is Mission: Impossible... like you've never seen it before! Tom Cruise stars as Ethan Hunt in this pulse-pounding thrill ride directed by J.J. Abrams (Star Trek, Super 8). Lured back into action by his agency superiors (Laurence Fishburne and Billy Crudup), Ethan faces his deadliest adversary yet - a sadistic weapons dealer named Owen Davian (Oscar winner Philip S..
No plan. No backup. No choice. Agent Ethan Hunt (Tom Cruise) and his elite team (Jeremy Renner - The Avengers and Simon Pegg - Star Trek) go underground after a bombing of the Kremlin implicates the IMF as international terrorists. While trying to clear the agency's name, the team uncovers a plot to start a nuclear war. Now, to save the world, they must use every high-tech trick in the book. The mission has never been more real, more da..
Loaded with "jaw-dropping stunts," prepare for "the best action movie of the year.". With their elite organisation shut down by the CIA, agent Ethan Hunt (Tom Cruise) and his team (Jeremy Renner, Simon Pegg, Ving Rhames) must race against time to stop The Syndicate, a deadly network of rogue operatives turned traitors. To stop this global threat, Ethan must join forces with an elusive, disavowed agent (Rebecca Ferguson) whose loyalty is..
Loaded with "jaw-dropping stunts", prepare for "the best action movie of the year". With their elite organisation shut down by the CIA, agent Ethan Hunt (Tom Cruise) and his team (Jeremy Renner, Simon Pegg, Ving Rhames) must race against time to stop The Syndicate, a deadly network of rogue operatives turned traitors. To stop this global threat, Ethan must join forces with an elusive, disavowed agent (Rebecca Ferguson) whose loyalty is ..
Tom Cruise reprises his role as Impossible Mission Force (IMF) agent Ethan Hunt in the fifth film of the action thriller series. Written and directed by Christopher McQuarrie, the movie follows on from events in the previous instalment where the IMF agents find themselves being targeted by a shadowy organisation of highly-trained assassins known only as the Syndicate. Can Ethan reassemble the now-disbanded IMF team to bring down this ro..
Tom Cruise ignites the screen in this runaway smash hit that "holds you on the edge of your seat before blasting you out of it." (Howard Rosenberg, Los Angeles Times). Cruise stars as Ethan Hunt, a secret agent framed for the deaths of his espionage team. Fleeing from government assassins, breaking into the CIA's most impenetrable vault, clinging to the roof of a speeding bullet train, Hunt races like a burning fuse to stay one step ahe..
See the original hit television series in a dynamite 47-disc collector's set. Featuring special features and all 7 explosive seasons of action-packed espionage, with each episode digitally remastered. Experience the original Mission: Impossible television series that created a cult phenomenon. Spanning seven legendary seasons, watch as the Impossible Missions Force (IMF) battle evil organisations and crime lords in secret covert mission..
Own Mission Impossible - 6 Film Collection 4K Ultra HD + Blu-Ray from Deff, DVD, Blu-Ray & 4K Video Specialists - Free UK Delivery..
Own Mission Impossible - 6 Film Collection Blu-Ray from Deff, DVD, Blu-Ray & 4K Video Specialists - Free UK Delivery..
Own Mission Impossible - 6 Film Collection DVD from Deff, DVD, Blu-Ray & 4K Video Specialists - Free UK Delivery.. The stakes have never been higher. The action has never been hotter. This is Mission: Impossible...like you've never seen it before! Tom Cruise stars as Ethan Hunt in this pulse-pounding thrill ride directed by J.J Abrams (Lost, Alias). Lured back into action by his agency superiors (Laurence Fishbourne and Billy Crudup), Ethan faces his deadliest adversary yet - a sadistic weapons dealer named Owen Davian (Oscar winner Philip Seymour H..
No plan. No backup. No choice. Agent Ethan Hunt (Tom Cruise) and his elite team (Jeremy Renner-The Avengers and Simon Pegg-Star Trek) go underground after a bombing of the Kremlin implicates the IMF as international terrorists. While trying to clear the agency's name, the team uncovers a plot to start a nuclear war. Now, to save the world, they must use every high-tech trick in the book. The mission has never been more real, more danger..